MSA's family of Lite Safety Harnesses and Energy-Absorbing Safety Lanyards provides added comfort by removing excess weight. 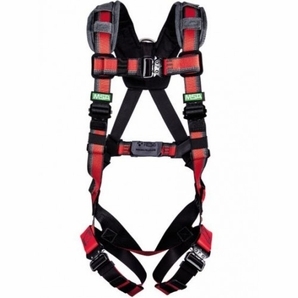 MSA 10155578 EVOTECH� LITE Full Body Harnesses and Workman� Lite and Diamond Lite Lanyards are 20% lighter than standard fall protection safety equipment; workers will feel the difference at the end of a long day! So LOSE THE WEIGHT on workers� shoulders and lighten the compliance load from your back.